A to E will receive complimentary 'stones' for the stoning. 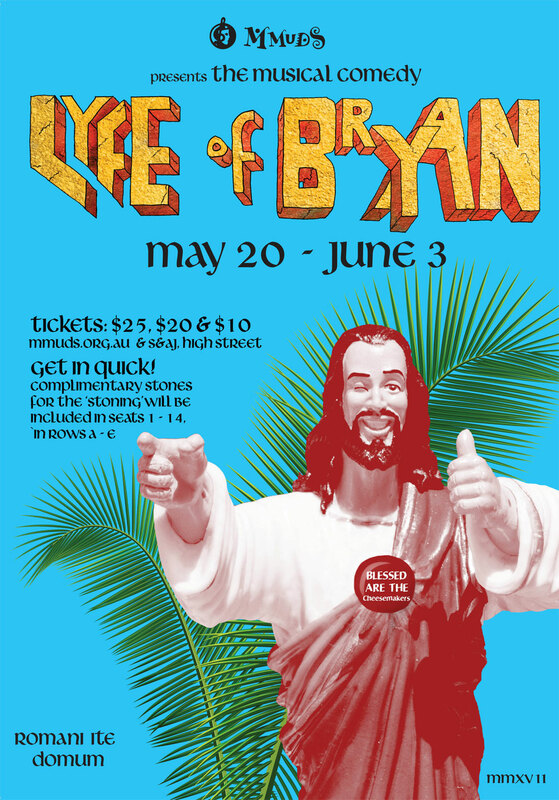 "Lyfe of Bryan ~ The Musical" is a show based on a biblical story line featuring original songs. 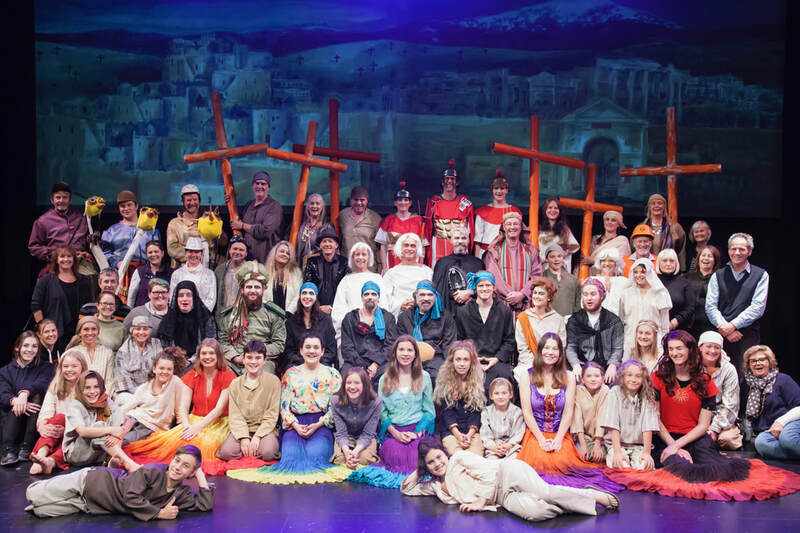 The plot is loosely based on the 1979 Monty Python movie ‘The Life of Brian’ but is totally reimagined to work as a live stage performance. Many scenes will be created ‘in the moment’ and will vary from performance to performance. The idea of the show is to include as many local people, many of whom have never been on stage before. The aim of the show is to encourage local participation, inspiration and a happy community. The story is that of Brian Cohen, born on the same day as Jesus, and destined to the same fate. While attending Jesus' Sermon on the Mount, Bryan becomes infatuated with an attractive young rebel, Judith. His desire for her and hatred for the Romans lead him to join the People's Front of Judea, one of many divided independence movements who spend more time fighting each other than the Romans.Mistaken for a prophet, he becomes a reluctant Messiah to a desperate people searching for a "sign". The PLF spur him on to paint "ROMANI ITE DOMUM" (Romans go home) on a huge wall, whereupon he is arrested. Pontiffs Pilate seeks to have him released, but is unsuccessful, and the show ends with his crucifixion to the well-known song, "Always Look on the Bright Side of Life". Recruitment drive. The Peoples Liberation Front of Judea at the Bonnie Doon Bridge on the filming day. The film will be used as part of the 'backdrop' for the stage production.